Anything from a fabricated custom steel structure to a galvanized ASME coded stainless steel Heat Exchanger to exacting standards. SMS can do it! 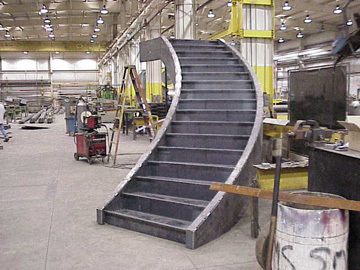 Structural Steel fabrication has become a mainstay for Spallinger Millwright Services and has fueled the growth of our shop. 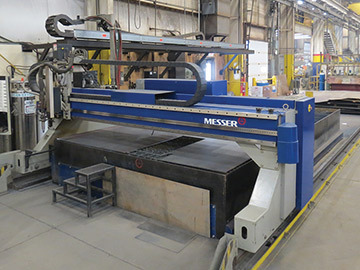 We now boast over 65,000 sq foot fab shop equipped witha Peddinghaus beam saw/drill line, Ficep Angle line, plasma burn table, and an automated shot blaster. 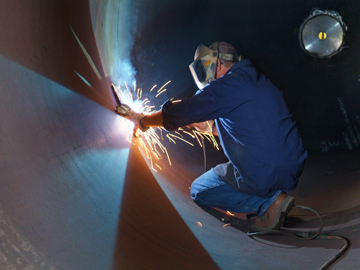 At Spallinger Millwright Services, our fabrication expertise also includes ASME coded pressure vessels. Our ASME “U” Stamp and National Board “R” Stamp certifications allow us to fabricate and repair pressure vessels to the highest standards. Similar to anything we do, we can accommodate hard to meet deadlines while providing top quality products. 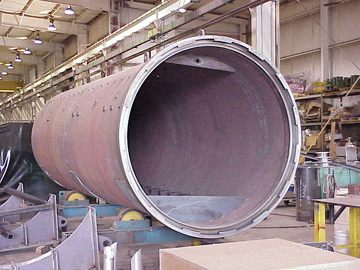 Autoclave fabrication (part of our pressure vessel division) represents a special niche in our fabrication capabilities. We can design, fabricate, paint and finish autoclaves ready for installation or simply fabricate a shell and door from your drawings. Custom designs are no problem, as we are able to accommodate numerous options. For example, we offer: steam or electric heat, internal or external insulation, and various control units. 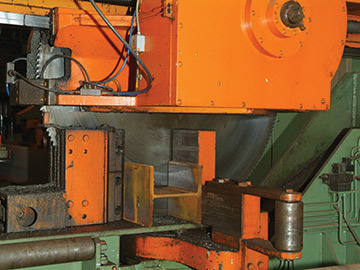 Spallinger Millwright Services offers custom sheet metal fabrication from light gauge aluminum through heavy gauge stainless plate. We have the ability to field measure and design a solution to fit your specific needs or fabricate to existing drawings. We are proficient with numerous material types including carbon steel, stainless steel, galvanized, and aluminum ranging from thin sheets to plate including grating and expanded metal. Whether you need it installed or simply delivered to your site, SMS can do it. Stainless Steel, Carbon Steel, Cast Iron, Aluminum, Steel Alloys, and Copper – you name it and we can probably work with it. 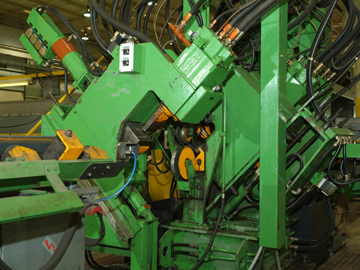 We have built carts for automotive manufacturers, tanks for the railroads, and repaired heavy construction equipment. If it is made of metal, we can probably build or repair it.